When John McKee retires next month, he and his wife, Rosemary, could make a bee line for their condo in Florida, where they've spent the past few winters. But Florida isn't where the McKees long to be. Instead, they're dreaming of moving north – 100 miles north of their home in Waverly, Iowa, to Rochester, Minnesota. 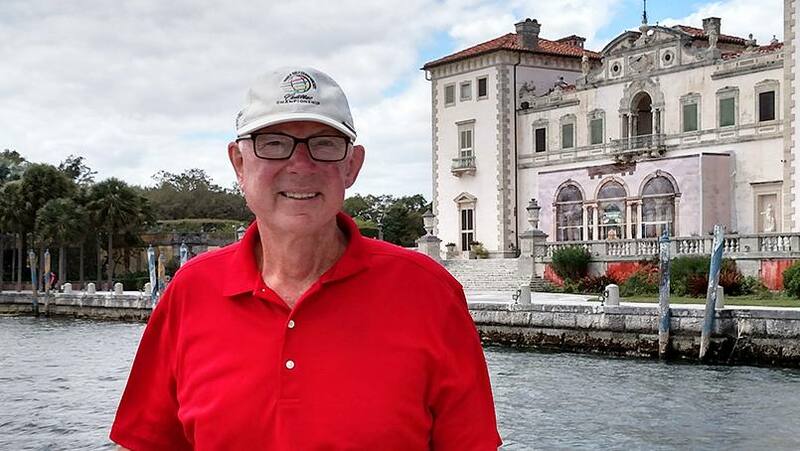 That's where John, a real estate agent, hopes he can fulfill his dream of becoming a volunteer at Mayo Clinic, which he credits with saving his life more than once during his 25 years as a patient. "My life has been extended three times because of Mayo Clinic," he tells us. The first, John says, came after a coronary artery suddenly became blocked during a procedure that wasn't supposed to end in emergency bypass surgery, but did, when he was just 48 years old. "They had to hook me up to an ECMO [heart and lung bypass] machine and rush me into an operating room for emergency triple bypass surgery," he tells us. "I was in deep trouble, but they saved me." The second came six years ago, when John's care team at Mayo, led by cardiologist David Holmes Jr., M.D., told him it was time to repair the aortic aneurysm they'd found during that emergency bypass. Up to that point, Dr. Holmes had been monitoring the aneurysm annually. When it came time for the procedure, John tells us he feared the worst. "I was so convinced I wasn't going to live through that surgery that I bought a cemetery plot and marker for my grave," he says. "I'd been so lucky the first time that I thought I'd used up all of my chips. But my care team fooled me again. I came out feeling like a million bucks. " The third time that Mayo Clinic "extended" his life, John says, came soon after doctors discovered a cancerous tumor on his saliva glands. "I had to have major surgery on my face and neck along with 30 radiation treatments," he says. John tells us it was during those treatments that the course of his life was changed by the compassion shown to him by a Mayo volunteer. "I can't remember his name, but I can still see his face clear as a bell,” John says. “Taking radiation in the face is pretty rough, and he came to me in that waiting room and comforted me. He was amazing." Now that he's back to feeling "healthy and strong," John says he and Rosemary have decided to make Rochester their new home so that he can "give back" to the place that's given him his life back three separate times. "I almost feel like it's a calling," he says. "We've sold our house in Iowa and are now living in temporary housing while we wait for something to open up in downtown Rochester. We're hoping to be there soon." Consider it a calling to share your comments below. Then, you can share this story with others using the social media tools.